In any given week, some stocks are sure to shoot up, and others will plummet. The big gainers inspire us to keep investing. The presence of the decliners keeps our greed in check while reminding us about the risks of the equity markets. Let's go over some of last week's best and worst performers. Last week's biggest gainer was Avanir Pharmaceuticals. The volatile biotech soared after revealing favorable clinical trials data on its AVP-923 drug candidate that treats agitation associated with Alzheimer's. This is a major hurdle cleared on the long path to gaining regulatory approval, but this is just the second of three clinical trial phases that Avanir needs to shine through to get its treatment on the market. Novatel Wireless moved higher after IT products distributor and services provider Synnex announced an expanded deal to offer Novatel products throughout the U.S. and Canada. H.C. Wainwright followed by initiating coverage of Novatel with a buy rating and a $4 price target that it deems as conservative and one that it's likely to raise "sooner rather than later." There weren't too many companies reporting quarterly results last week, but Apogee was one that managed to shine through. The provider of value-added glass products and services saw revenue soar 30 percent in its latest quarter. Adjusted earnings climbed 67 percent to $0.35 a share, beating Wall Street expectations. The strong showing finds Apogee raising its outlook for fiscal 2015. The market's biggest loser was VirnetX, shedding nearly two-thirds of its value after an unfavorable patent ruling. The U.S. Court of Appeals for the Federal Circuit rejected a jury award of $368.2 million that VirnetX initially won against Apple (AAPL) in 2012 for patent infringement related to virtual private networking and FaceTime. Investors were hoping that VirnetX would not only hold on to the initial jury award but also see it expanded in light of subsequent Apple product releases. 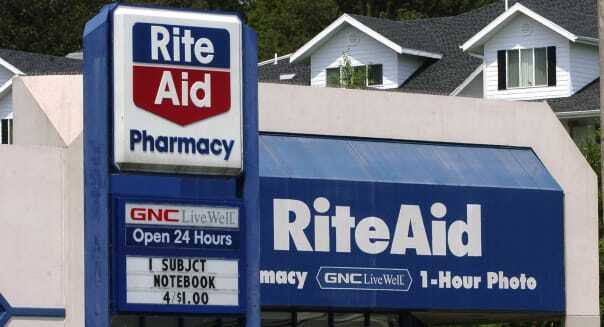 Drugstore operator Rite Aid posted better-than-expected results -- the chain's eighth consecutive quarterly profit -- but came undone with a problematic outlook for the balance of the year. Lower reimbursement rates and leaner margins on new generics are forcing Rite Aid to lower its profit guidance for the entire year. Web-hosting specialist Rackspace was booted offline after announcing that it is no longer looking to be acquired. Rackspace excited investors in May by announcing that it was putting itself up on the block, but a lack of interested buyers willing to pay an acceptable premium didn't help. It also introduced a new CEO to oversee Rackspace's newfound emphasis on making things work as a stand-alone company. The market wasn't happy with the announcement. "Based on Rackspace's reaccelerated revenue growth and its potential trajectory for the coming year, the board concluded the company is best positioned to maximize shareholder value by executing its strategy as the #1 managed cloud company," the company explained. Top-line growth hasn't been an issue at Rackspace. The problem is that profitability has taken a step back in recent years as intensified competition from tech giants has resulted in margin-smashing price wars. Rackspace may think that it's better off as a swinging single, but the market doesn't seem to think so. Motley Fool contributor Rick Munarriz has no position in any stocks mentioned. The Motley Fool recommends Apple and Rackspace Hosting. The Motley Fool owns shares of Apple. Try any of our Foolish newsletter services free for 30 days.Check out our free report on where the real money is to be made from the just-announced Apple Watch.